Founded by Evan Spiegel, Bobby Murphy, and Reggie Brown as a class project at Stanford University, Snapchat became popular over the time with its highly extensive features, and an innovative way to share pictures and videos with friends. 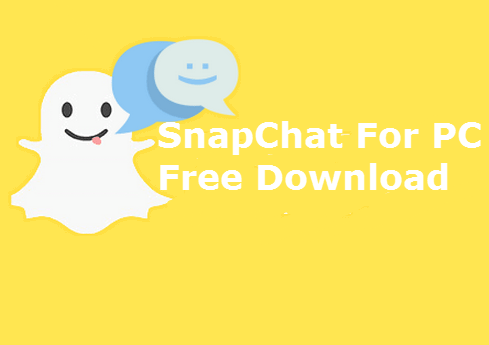 The official Snapchat is a free download from Google’s Play, but as this app has gained wide popularity, many users want to use it on their Windows 10 laptop and in Personal Computer. Snapchat currently has millions of users and this figure is increasing every day. Let’s look at some of the features that Snapchat has to offer. Here, Snapchat offers a bit of security as the images you share don’t remain on the server forever, but only for a short period of time, and then it automatically gets deleted from the server. Snapchat is completely free and loaded with a bunch of exciting features. The developers work pretty hard on this app and update is often to get rid of bugs, if any. The interface of Snapchat is very attractive with fluid animations. Also, it’s very easy to master. All of these features make Snapchat fun, and it keeps on getting exciting. Using Snapchat is easy, and its success apparently has motivated Facebook to start an app called Slingshot of its own with similar features. However, the success of the new app will entirely depend on Facebook’s innovation and the loyalty of Snapchat users towards the app. Yes, loyalty in the app market does exist. Yes, many users refrain from switching to other Instant messaging apps like Hike and Viber because they’re just too loyal to Whatsapp. And this is true with Snapchat too. Looking at the last year’s data, Snapchat had around 700 million photos and videos. Also, Snapchat boasts of a massive figure of 100 million active users. Snapchat does have an online version at their official website, but many people want to use it as an app on their Windows PC running on Windows 7, Windows 8/8.1, and the latest Windows 10. To make it happen, you need to download an Android emulator on your Windows computer. The most popular of which is Bluestacks. Bluestacks has a clean and user-friendly interface, and it can also be installed and setup very easy. You can download Bluestacks for you Windows PC from their official website, here. Before you do that, make sure that your internet is working fine. Once Bluestacks is downloaded, here’s all you need to do to run Snapchat on your Windows PC or laptop. 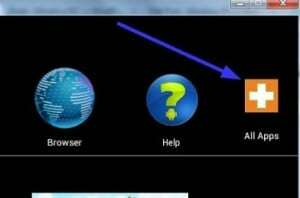 Install BlueStacks setup.exe file that you downloaded from their official website on your PC or laptop. Snapchat has quite a bit of admirable graphics in it, so it requires a decent configuration to run on, else it provides poor speed. It is recommended that you have a graphic card and 2GB of memory (RAM) on your computer. Once Bluestacks is successfully installed, you can see the Android interface on it, which will be familiar to you. Now you can interact with this application like you do with a normal android device. 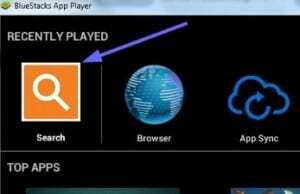 Launch Google’s play from the list of applications. Now you’ll have to sign in from your Google account. This step is very important as you can’t access apps on Play Store without signing in with your Google account. After downloading, Snapchat will install itself. You can access it from the list of applications. Sign in Snapchat using your username and password, and you can use this app. All said and done, you can run Snapchat on our Windows PC or laptop running Windows 8/10. And now you can start having fun with this app – sharing images and videos, browsing your friend’s profile, yes, Snapchat has it all. All said and done, you can use Snapchat on your Windows PC or laptop. If you’ve any questions or suggestions regarding this tutorial, then please share your valuable comments below. This will help us to improve our guide and make the experience even better for you.